There are many factors that contribute to the success of a business. Foremost among them is effective communication. Effective business communication is about conveying thoughts, transferring information and expressing ideas in a clear and concise manner. For companies that understand the power of words, communication is the cornerstone that keeps team members informed with expectations, while progressing towards a common goal. 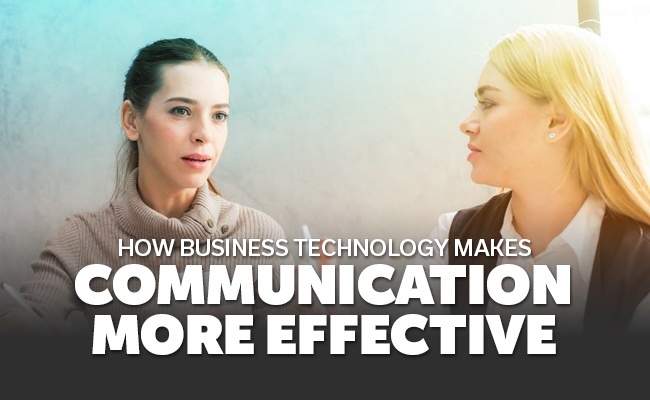 Technology has dramatically improved the efficiency and effectiveness of business communication from every aspect. Since the invention of email, the increasing amount of communication tools have helped managers and team members to get more things done. By making file sharing user-friendly and readily available in a secured online platform, technology has successfully brought teams together and advanced their collaborative efforts. If you are a company that is interested in upgrading your communication methods, then you might consider using one or a combination of these tools. Stemming from the prefix intra-, meaning inside or within, an Intranet is a user-friendly internal computer network system within an organization. Intranet networks are private, secure systems that work only from inside your company. Intranet networks seek to share information and improve communications between co-workers, team members, and supervisors within an organization. This internal network is loved for its versatility and companies that choose to implement an Intranet can easily adapt to its flexible features and enhance their communication channels. For example, an Intranet offers a forum application to encourage employees to discuss key issues and brainstorm solutions without feeling the pressure of a formal corporate meeting. With an Intranet network, you can say "Adios" to the days when supervisors and managers printed endless paperwork only to pile them on your desk. By reducing printing and email traffic, Intranet systems enable companies to post or send information virtually and allows for announcements and other important topics to be broadcast internally, almost instantaneously. The goal of an MS SharePoint site is to make team communications more efficient by offering a list of features that help companies and employees to share, organize and manage files in real-time, with precision and professionalism. The OneDrive for Business provides a secure place for employees to not only store files but also invite other team members to review and provide constructive feedback no matter where they are. The team site features a task management station for employees to manage a project around their schedule. The Site Mailbox also offers a great email filtering system that enables workers to receive and store emails and attachments in lists and libraries. With SharePoint, any employee can easily log on from a central location to send emails, start a new discussion thread, and connect with each other. When it comes to project management, Basecamp is a company's best friend. Created with the vision to help companies communicate efficiently, Basecamp makes it easy for people to manage long-term projects without breaking a sweat. Basecamp allows you to create group lists, invite people to your team and organize your communications in a set of folders. Basecamp stores everything securely and is a great place to share files, have discussions, collaborate on documents, assign tasks, and check due dates. You can access Basecamp at anytime, from anywhere. With this level of organization, you won't have to worry about leaving someone out the loop or losing an important file ever again! Take advantage of these amazing tools to fine-tune your workplace collaboration and productivity. As business technology experts, EnvisionIT Solutions can recommend the best communication tools that best fit the purpose and nature of your business or projects. 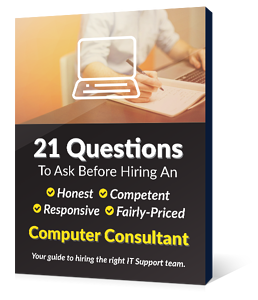 We offer managed IT and a full spectrum of IT consulting services so you can maximize the benefits of technology without going back to school. We know technology so you don't have to!